My girls aren't big soda drinkers, but they do like sweet beverages like iced coffee and milk shakes. I was looking for a green drink that I could serve them on St. Patrick's Day, since they aren't big on green veggies (like the asparagus recipe I posted last week) that would be a little special treat for them next week. I've had this Frozen Yogurt Soda from Golden Blossom Honey saved to try for quite some time, and finally decided I'd give it a test run this week so I could surprise them with a little treat next week after our dinner. While it's not bright green, mixing in the lime and the mint makes it a legit St. Patrick's Day drink in my book. 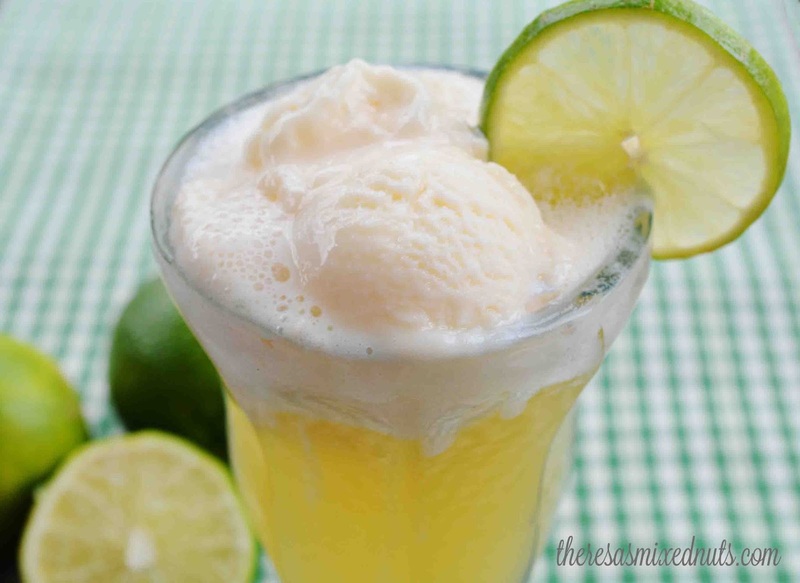 Made with seltzer water and sweetened with lime juice and honey, it's a lot healthier than other soda based frozen yogurt drinks. You had me at lime....and then you added ginger and I was in heaven! PINNING!!! Looks way better than any soda drink indeed at your feed. This looks so delicious. I can't wait to try it after I pick up some honey. This looks so yummy. It will be perfect for a hot afternoon here in Florida. That looks amazing! It is just about the time of year that it would be perfect for! This looks fun and delicious. A perfect green drink to celebrate Saint Patrick's Day. I absolutely love anything with lime. That looks tasty and refreshing! Oh the kids will love this. I have honey in the house but not this brand and I think I'm going to give this a try. Thanks for the recipe. 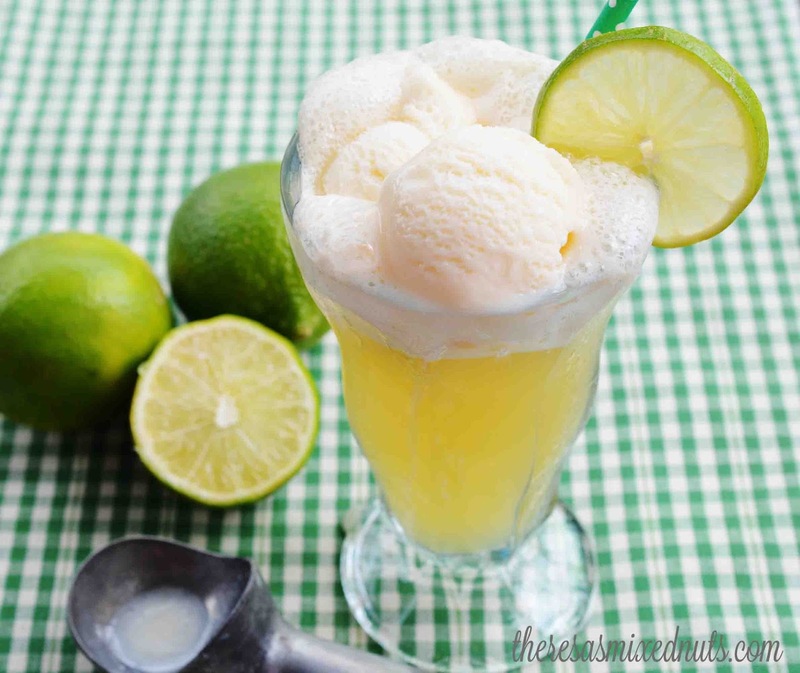 Definitely looks like a refreshing drink to enjoy not only for St. Patrick's day, but for any day! I'm saving the recipe. This would be a great thirst quencher for the coming summer! Yep, it's a legit St. Patty's Day drink. I'd love to have that show up on my table. I love anything as long as it has yogurt in it. I should really give this a try. Thanks for the recipe. This drink looks so refreshing. I will have to give this recipe a try this weekend. That does look super good! I should make this for my boys on St. Patty's Day. I was thinking of trying a reuben casserole to. Yum! That looks tasty, pretty and fun!! OMG yes! I would love to have one of these every single day!! I should try it at home...so fresh and yum for sure..